When did you join the Planned Perfection team? I joined the Planned Perfection in 2016 during my last semester of college. How did you get involved in the wedding and event industry? Having a mom who is a florist I grew up around weddings. I helped her at her flower shop all throughout high school and college and got to assist her with lots of weddings. My favorite part of the wedding day is helping the bride down the aisle. I love being able to see her excitement before the I do’s and helping fluff her train before sending her down the aisle. When you aren’t lining up the bridal party and refilling the candy bar, what can we find you doing? You can also find me working at Blush Bridal. 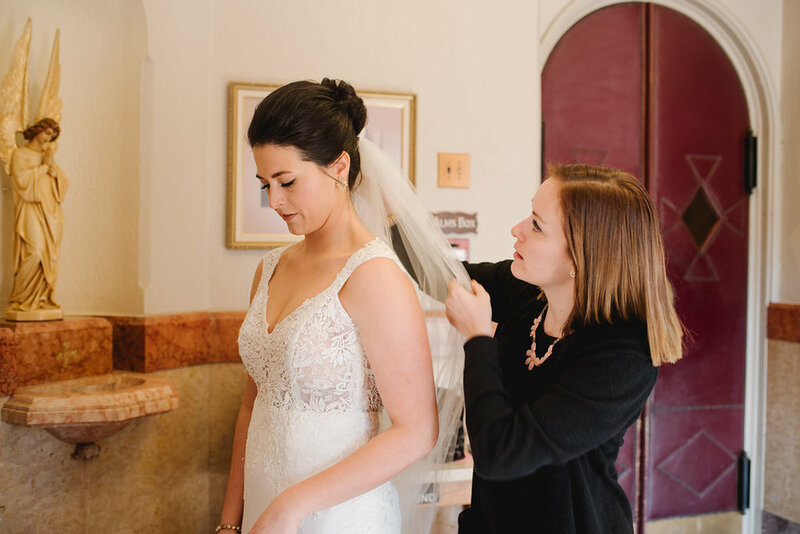 I am a manager there and help brides find their dress for their big day! If you couldn’t tell I love all things wedding! When I’m not working though I love to travel and explore new places.